I love when I have a conversation one day, and then a couple days later that conversation’s topic jumps up again elsewhere. I mentioned they had to be on 104, but I had no idea what it was. Then two days later it appears on my Facebook feed. 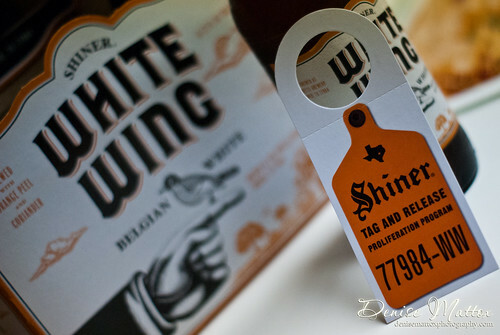 Shiner White Wing. Then today, I snagged myself a six pack of it. Serious. Joy. Now, anyone familiar with my beer preferences knows I call myself a “wheat beer girl,” so when I found out 104 was a Belgian-style wheat ale I might have squealed. Out loud. In fact, no might to it… I did. That cloudy, golden color. That bright white head. I’ll take that over any other beer ANY day. If you’re looking for the next Blue Moon, you’re not looking in the right place. Personally, I compare it more to the classic Hoegaarden and I can’t wait to try my next glass with a squeeze of lemon. It’s more about the wheat than it is the orange and coriander, so it ends very dry on the palette. 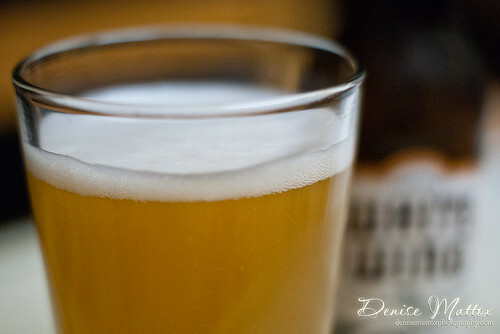 Hoegaarden was my first favorite witbier, and I regret having strayed from it over the last five years. I’ve become a big fan of Shocktop, even over Blue Moon, because its much more fruity of a flavor. 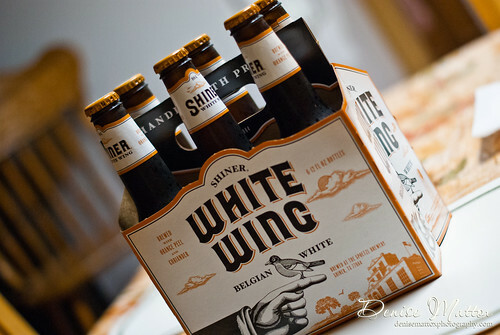 But when I took my first drink of Shiner’s White Wing, I was slammed back in my memory of my first favorite. I love me a fruity beer (see Abita Strawberry Harvest) but sometimes… sometimes you gotta go back to the flavors of the standards that have stood the test of time. I’d expect nothing less from oldest independent brewery in Texas than to bring to my taste buds a classic witbier flavoring. And boy did they deliver! Love it! 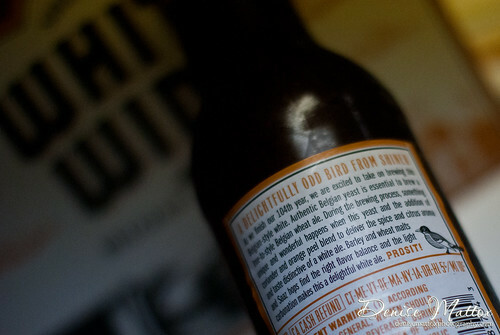 Wheat beer brewed with Ginger, but still digs Mary Ann. I picked up a Red Hook Wisecracker Wit awhile back, when my husband and I did one of those, “make your own six packs” at the store. I finally got around to drinking it the other day. 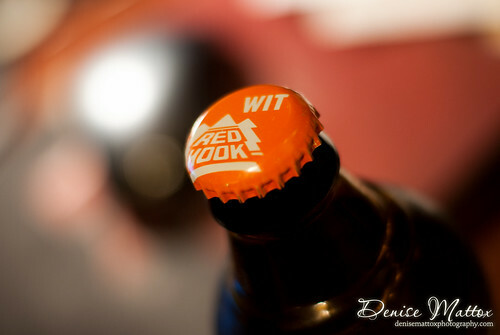 My favorite beer style is a wheat beer, and for a long time if it was a wheat beer I’d love it. Now, though, I’m a lot pickier about my wheat beers. I look for drink-ability first and foremost. (Duh!) But beyond that, I want one that that stands out among the rest. 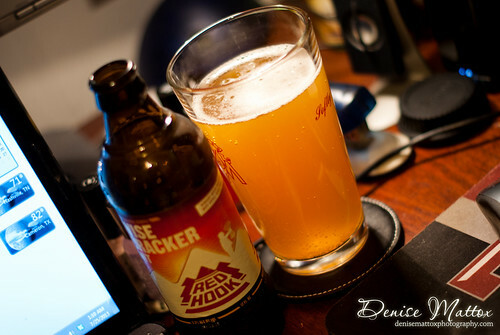 Red Hook Wisecracker Wit is high on the first, but middle of the pack with the last. This is a HIGHLY drinkable beer. I poured it into a glass, but I think it would be just as easy to drink from the bottle. (Wheat beers are meant to be enjoyed from a glass, in my opinion. Sometimes, though, that might not be an option.) I’d happily pack a six-pack for a day on a boat or for a backyard barbecue. It’s very easy to drink. Which could potentially be dangerous. However, it didn’t really make me go, “WOW! This really stands out from the rest!” It just kind of runs middle of the pack of all the wheat beers I’ve had regarding uniqueness. Nothing really jumped out at me flavor-wise that made me stop and really analyze it. Nonetheless, that’s nothing to stop me from having it again, though. I did enjoy it very much, and, like I said, it might just show up at a future barbecue in my cooler.